CAN THE CASTING OFFICE TEST YOUR CONCENTRATION?! Whenever I’m casting a movie and working with actors I marvel at their sheer concentration. To be able to create a believable character and a “world” around you in a small audition room is always a miracle to me. When I get hired on a television show or a movie, the production usually has me move in to their offices so that I’m close to the creative team for auditions. It’s often a game of Russian roulette to see if I get the “cool” office space or the crap one. I’ve had some very, shall we say “interesting”, experiences along the way and it’s brought me to share this story as I witnessed actors trying to stay in character through some difficult circumstances at our casting offices. The last film I cast had a very cool-looking office space. It had been completely redone to look very architectural and quasi industrial. My office was very long and narrow, very hip looking. BUT, one entire wall was floor to ceiling windows, which looked onto, you guessed it, the waiting room. It was like working in a fishbowl. All the actors waiting to audition could look into my office and watch the auditions. Not cool. Immediately we fashioned a “screen” with a sheet that also served as a backdrop for our filming. 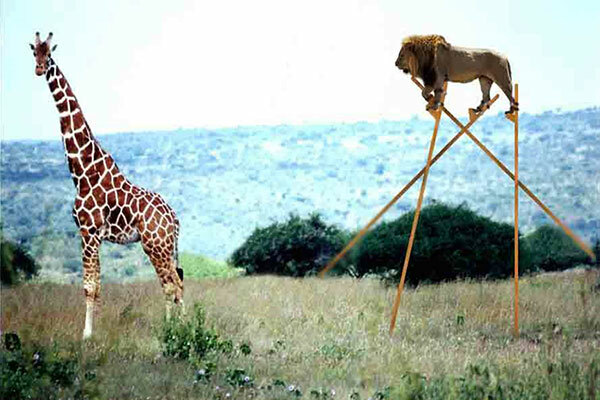 One problem solved. Turns out the walls were paper-thin so that when you’re in my office auditioning, you could hear another actor in the next room auditioning with my casting associate Michelle. Again, not cool. There were actually times when they would sync up and would be reading the lines at the same time in two separate rooms. If you’re not prepared and “in your character” and able to shut out all the elements you could be very tripped up by this. Because this office didn’t have much in the way of natural light, we had to use our professional lights – which are seriously HOT! They didn’t have central air-conditioning – which is usually whisper quiet. There was a built-in wall unit that was very effective, which we had to turn off during the auditions so that we’d get great sound. This resulted in making my office feel a lot like Suzy’s Easy-Bake Oven. Remember those? It’d be freezing cold in the waiting room and we’d have sweat streaming down our faces and would be peeling off our clothes as the day went by. Just when you think we’ve solved enough problems, in the week that we were doing the final casting where we had our director piped in thru my laptop to direct on Skype from London, they decided to put in a new roof and a new air-conditioning unit on said roof. Banging, drilling, pounding, hot mopping with tar, toxic fumes….you get the picture. And yet, it’s your “time to shine”! It’s your audition. Again, I was amazed at how most of the actors who came in just went with the flow, planted their feet and gave some truly incredible performances in spite of all these problems. The more I thought about it, the more I realized this was great preparation for when you actually get on set. If you think that once you’re on set, everything will be easier and you can relax, then you haven’t really experienced the full spectrum of what can go wrong while you’re shooting. So, we did what any smart film company would do. We held umbrellas over their heads and had them do as many lines as they could in between the 5-minute timing of the blaring foghorn. They were shivering, eating ice so that we wouldn’t see their breath, and trying to stay in their character. If that wasn’t a test of their concentration, I don’t know what was! You’ve got to be able to “bring it” in any given situation and not get caught up in all the external things that you can’t control. I’d love to hear your stories about concentration (and distraction) in the audition space and on-set. It’s always good to share with the community. Having just worked on a feature film where we were asking for actors to send in their self-taped auditions from around the world, I realized that actors are becoming more empowered and self-sufficient by learning how to tape their auditions. But do yourself a favor and make sure you do it well – taping your audition on your laptop should be a last resort. Make sure to show yourself at your best. 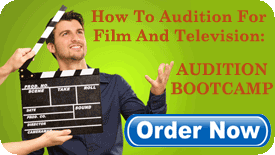 Lighting, sound, good quality video and a talented reader will help make your audition as great as it should be. Some are still stymied by the process and our guest bloggers Tara Tomicevic and Leslie-Ann Huff are here to explain an easy and very inexpensive “work around” using your iPhone. Yes, your iPhone! When we started noticing how often self-taped auditions are requested (a friend booked a pilot through a self-tape this year! ), we figured there had to be a way to get it done that didn’t cost an arm and a leg. We discovered that there is! Taking matters into our own hands, we started meeting twice a week, practicing and playing around with equipment. Since we weren’t working on an actual audition (yet), this gave us some room to try things, both technically and with our acting. Then, when it came time to send one in, we knew what we were doing. 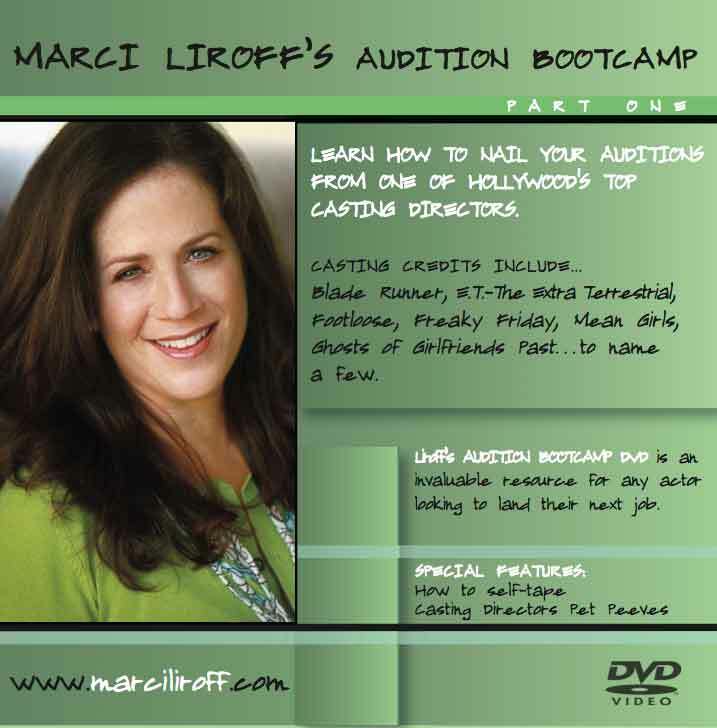 The following tips are meant to add to Marci’s blog entry How To Self-Tape Your Audition Like A Rockstar, which already covers all the important basics. Hopefully these tips will help to make it even easier. 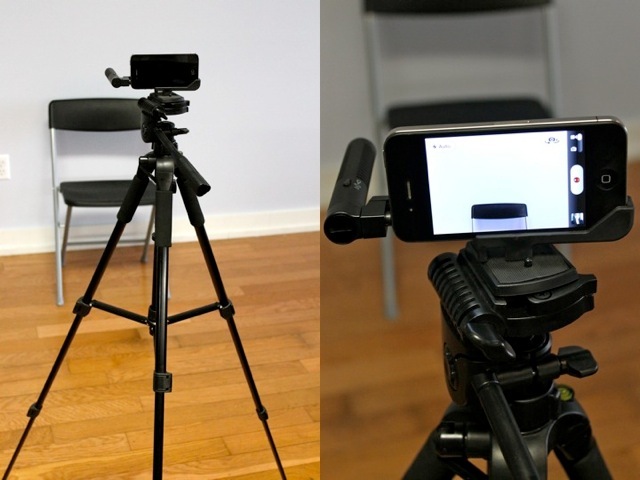 The camera on the iPhone 4 or iPhone 5 records considerably high-quality video. No fancy, expensive cameras necessary. A friend of mine has a great one called the Tascam iM2 mic for iPhone (http://tascam.com/product/im2/). It is about $80 but if you look around online you can often find them reduced to $30-$40. Leslie-Anne also added that she recently bought an iPhone 5 and the quality of the sound is comparable to using the directional mic for the iPhone 4 (what we were doing before). Hope this helps! We are lucky that one of our apartments has a spot lit by two windows, which provides great natural light. Find the spots in your home that face windows. Use blinds and curtains to increase or decrease the amount of direct light. Try using the different lamps in your home. Experiment. Much to our surprise, we noticed that a fluorescent kitchen light actually enhanced the look of the natural light. Be resourceful and use your judgement. If you have a dark place or have to shoot at night, Marci’s lighting suggestions in her original post are spot on. To get your video (regardless of its length) from your phone to your computer, connect the two via a USB cable. If you’re on a Mac, open the app Preview. Then click File, Import from iPhone, and all your iPhone files will be listed. Select your video and click Import. We paid about $60 (in addition to the price of our phones) to get this system working. We’ve seen companies around town charge $25-$100+ per self-tape. So invest in yourself and a couple self-tapes in you’ll be happy you did (and feel extra savvy too)! If anyone has any questions, feel free to reach out. We are both on Twitter: @TaraTomicevic and @Leslie_AnneHuff. Tara Tomicevic is an actress, writer, and producer. She is Croatian born, Italian raised, and Berkeley branded. I’d love to hear about any hot tips you’ve discovered while self-taping your auditions. It’s always good to share with the community.